Charities in Northern Ireland will for the first time have to file annual accounts with the Charity Commission for Northern Ireland once they are registered, the regulator has said. In a statement, the CCNI said it would open a consultation on 23 September to allow charities to express their views on its new draft interim reporting proposals. 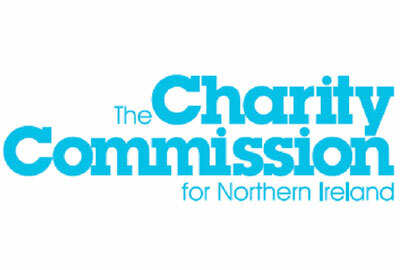 In June, the Charities (2008 Act) (Commencement No 4) Order (Northern Ireland) 2013 came into effect, including provisions to allow the CCNI to begin compulsory registration of all charities operating in Northern Ireland later this year. In July, the CCNI announced that it had selected a pilot group of 20 charities to test its registration process before it goes live. Once charities are registered with the CCNI, they will be required to submit an annual return, including their annual accounts, to the regulator, which has not previously been required. The CCNI’s draft interim reporting proposals say the new system will come into effect in two stages. During the first stage, charities will be able to submit their returns to the commission in the format in which they currently prepare them. Under the second phase, charities will have to prepare their reports in accordance with new accounting and reporting regulations, the CCNI said. The CCNI’s consultation will focus on the interim proposals, with a further consultation by the Department for Social Development for Northern Ireland on the "full" accounting and reporting regulations next year, the regulator’s statement said. Frances McCandless, chief executive of the CCNI, said: "At present, charities are not required to submit annual monitoring returns or accounts and reports to the commission for inspection." McCandless said it would be compulsory for charities to register with the CCNI later this year and annual reporting would play an "important role" in its regulation and monitoring work. "In preparation for that, we are opening a public consultation on our draft interim reporting proposals and calling on anyone with an interest in charities to have a look at our proposals and share their thoughts with us," said McCandless.